PHUKET: The Criminal Court has ruled out suicide in the mysterious death of a former Phuket Land Department official detained at the Department of Special Investigation (DSI) last year. 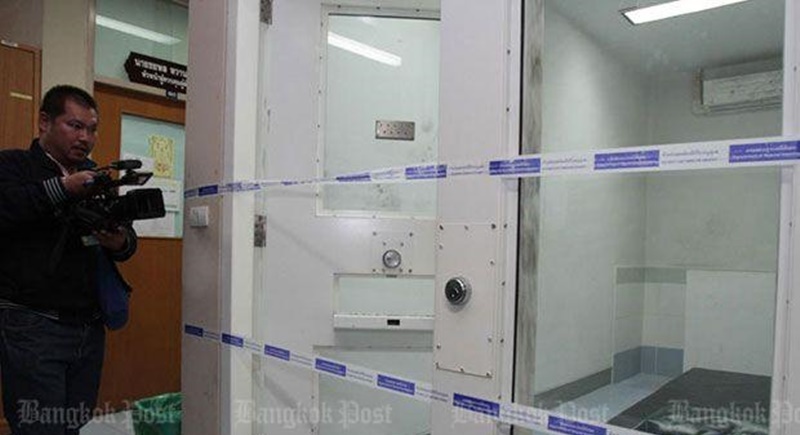 The court said it found Tawatchai Anukul, a former official of the land offices in Phang Nga and Phuket, had been killed. The conclusion followed interviews with several witnesses since the beginning of the year at the request of prosecutors seeking a judgement from the court on his death. The court did not go into the details of the investigation. Mr Tawatchai, 66, died on Aug 29 last year. He was found hanging in a room on the sixth floor of the DSI building. Then-deputy DSI chief Songsak Raksaksakun said officials gave him first aid but the help came too late. He was pronounced dead while being taken to Mongkutwattana General Hospital. The DSI said the man used a pair of socks to hang himself. Mr Tawatchai was accused of dereliction of duty over his alleged involvement in the issuance of land ownership documents in Phuket and Phang Nga. The alleged land fraud included Layan Beach in Phuket’s Thalang district and part of Hat Thai Mueang-Khao Lampi National Park in Phang Nga in the 1990s. His brother Narongchai said he will consult his lawyer and go to Thung Song Hong Police Station to file a complaint to force the opening of a murder investigation.